We had just spoken about a part of the overall environment, that is, the conditions necessary to human survival God prepared for mankind since He created the world. We just spoke about five things, and these five things are the overall environment. What we are going to talk about next is closely related to every human’s life in the flesh. It is a necessary condition that corresponds more to and is more in line with a person’s life in the flesh. This thing is food. God created man and placed him in a suitable living environment. Afterward, man needed food and water. Man had such a need, so God made such preparations for man. Therefore, you can see that each step of God’s work and each thing He does is not just empty words, but is actually being carried out. Is food something people cannot be without in their daily lives? (Yes.) Is food more important than air? (They are equally important.) They are equally important. They are both conditions and things necessary for mankind’s survival and preserving the continuation of human life. Is air more important or is water more important? Is temperature more important or is food more important? They are all important. People cannot choose because they can’t be without any of them. This is a real problem, not something you can choose. You don’t know, but God knows. When you see these things, you will feel, “I can’t be without food!” But if you were put there right after you had just been created, would you know that you need food? You wouldn’t know, but God does. It is only when you become hungry and see that there are fruits on the trees and grains on the ground for you to eat that you realize, “Oh, I need food.” It is only when you are thirsty and want to drink water that you realize, “I need water. Where can I find water?” You see a water spring before you, so you drink from it. You say, “This drink tastes very good. What is it?” It is water, and it was prepared for man by God. As for food, it doesn’t matter if you eat three meals a day, two meals a day, or even more than that; in short, food is something humans cannot be without in their daily lives. It is one of the things necessary for maintaining the normal survival of the human body. So where does food mainly come from? First, it comes from the soil. Soil was first prepared for mankind by God. Soil is suitable for the survival of various plants, not just for trees or grass. God prepared for mankind seeds for all kinds of grains and various foods, as well as suitable soil and land for people to plant, thus giving them food. What kinds of foods are there? You should be clear on this. First, there are various types of grains. What is included in grains? Wheat, foxtail millet, proso millet, rice…, the ones that come with hulls. Cereal crops are also separated into many different varieties. There are many types of cereal crops from the south to the north, such as barley, wheat, oats, and buckwheat. Different species are suited to being grown in different regions. There are also various kinds of rice. The south has its own varieties of rice, which are longer and suited to people from the south because they are not too sticky. As the climate is hotter in the south, they have to eat varieties such as indica rice. It cannot be too sticky or else they won’t be able to eat it and they’ll lose their appetites. The rice eaten by people in the north is stickier. As the north is always colder, they have to eat stickier rice. In addition, there are various kinds of beans. These are grown above the ground. There are also those grown below the ground, such as potatoes, sweet potatoes, taro, and many more. 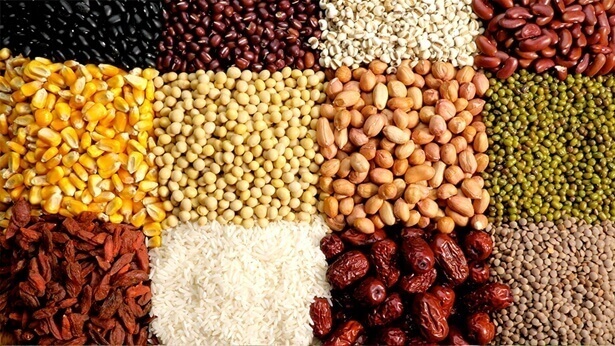 These are the various grains, a necessity for people’s daily food and drink. People use various grains to make noodles, steamed buns, rice, and rice noodles. People also eat potatoes and use potatoes and sweet potatoes to make staple foods. Taro, which is often eaten by people in the south, can also be a staple food. God has bestowed these various kinds of grains upon mankind in abundance. Why are there so many varieties? God’s intentions can be found therein: On the one hand, it is to suit the different soils and climates in the north, south, east and west; on the other hand, the various components and contents of these grains accord with the various components and contents of the human body. People can only maintain the various nutrients and components required for their bodies by eating these grains. Even though northern food and southern food are different, they have much more similarities than differences. These foods can all satisfy the normal needs of the human body and can maintain the normal survival of the human body. So, the reason why the species produced in various areas are very plentiful is that the human body needs what is supplied by such foods. 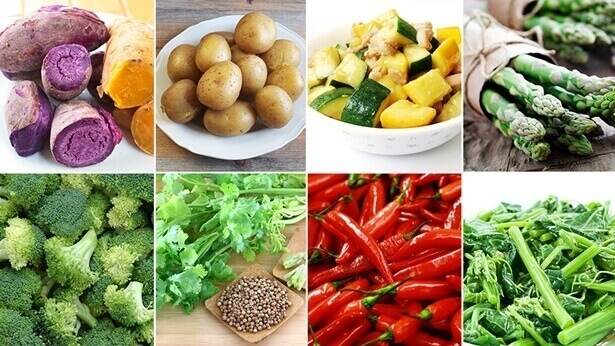 They need what is supplied by the various foods grown from the soil to maintain the normal survival of the human body and achieve a normal human life. Understand? (Yes.) Potatoes grow in the north. The quality of potatoes in the north is very good. When people do not have grains to eat, potatoes can be a staple of their diet so they can maintain three meals a day. Potatoes can also be a food supply. Sweet potatoes aren’t as good as potatoes in terms of quality, but can still be used by people as a food to maintain their three meals a day. When grains are not yet available, people can use sweet potatoes to fill their stomachs. Taro can be used in the same way. In short, God was very considerate to mankind. The various foods God bestowed upon people are not dull—they are very comprehensive. If people want to eat cereals they can eat cereals. Some might say, “I don’t like eating noodles, I want to eat rice,” and they can eat rice. There are all kinds of rice—long rice, short rice, and they can all satisfy people’s tastes, right? Therefore, if people eat these grains—as long as they are not too picky or fussy with their food—they won’t lack nutrition and are guaranteed to live healthily until an old age. That was the original idea God had in mind when He bestowed food upon mankind. The human body cannot be without these things—is that not reality? (Yes.) Mankind cannot resolve these real problems, but God had already prepared and thought it through. God had things prepared for mankind long ago, and prepared them in abundance. That is a fact. God has given mankind more than just these—there are also vegetables. When you eat rice, if rice is all you eat, you might lack nutrition. If you then stir-fry a couple of small dishes or mix up a salad to go with the meal, then the vitamins in the vegetables and various trace elements or other nutrients will be able to supply the needs of the human body in a very normal way. When people are not eating main meals they can also have some fruit, right? Sometimes, when people need more fluids or other nutrients or different flavors, there are also vegetables and fruits to supply them. As the soils and climates in the north, south, east and west are different, they also have different varieties of vegetables and fruits. Since the climate in the south is too hot, the majority of fruits and vegetables are of the cool type that can balance the cold and heat in people’s bodies when they eat them. On the other hand, there are fewer varieties of vegetables and fruits in the north, but still enough for the people of the north to enjoy. Isn’t that right? (Yes.) However, due to societal developments in recent years, due to the so-called social advancements, as well as improvements in transport and communications connecting the north and south and east and west, people in the north are also able to eat some fruits, local specialties or vegetables from the south, even all year round. That way, even though people are able to satisfy their appetites and material desires, their bodies are unwittingly subjected to different levels of harm. This is because among the food God prepared for mankind, there are foods and fruits and vegetables suitable for people in the south, as well as foods and fruits and vegetables suitable for people in the north. That is, if you were born in the south, eating things from the south is very suitable for you. God prepared these foods and fruits and vegetables because the south has a particular climate. The north has food that is needed for the bodies of people in the north. But because people have gluttonous appetites, they have been unwittingly swept up in the tide of societal developments, making them unwittingly violate such laws. Even though people feel their lives are now better, such a societal advancement brings a hidden harm to more people’s bodies. This is not what God wants to see and was not what God originally intended when He brought all things and these foods, fruits and vegetables to mankind. This was completely caused by mankind violating the laws of nature and carrying out scientific developments, and has nothing to do with God. Take a look. Are grapes sold all four seasons of the year in the market? (Yes.) Grapes actually only stay fresh for a very short period of time after they are picked. If you keep them until the next June, can they still be called grapes? Can you call them garbage? They not only no longer have the original composition of grapes, but they also have more chemicals on them. After a year, they are not only not fresh, their nutrients are also long gone. When people eat grapes, they feel: “So happy! So pleasant! Would we have been able to eat grapes during this season 30 years ago? You couldn’t eat it even if you wanted to. How great life is now!” Is this really happiness? If you are interested, you can go study grapes that have been preserved by chemicals and see just what their composition is and if this composition can bring any benefits to humans. Think back to the Age of Law. When the Israelites were on the road after leaving Egypt, God gave them quail and manna. Did God allow people to preserve them? (No.) Some people were narrow-minded and were afraid that there wouldn’t be more the next day, so they kept some aside. “Save it in case we need it later!” Then what happened? By the next day it had become rotten. God did not let them leave any behind as backup because God had made some preparations, which ensured that they would not starve. But people didn’t have that confidence and always wanted to leave some aside because they thought: “God’s actions are unreliable! You can’t see it and you cannot touch it. It’s still better to leave some aside for later. Have to be pre-emptive because no one will look after you if you don’t figure out a way yourself!” As you can see, mankind does not have that confidence, nor do they have true faith in God. They’re always leaving some aside for later and are never able to see all the care and thought behind what God prepared for mankind. They’re just always unable to feel it, always mistrusting God, always thinking: “God’s actions are unreliable! Who knows if God will give it to mankind or when He will give it! If I’m really hungry and God doesn’t give it, then won’t I starve? Won’t I lack nutrition?” See how tiny man’s confidence is!